Christian Lusardi, the counterfeit-DVD-making and counterfeit-chip-using North Carolina man whose insertion of bogus chips led to the cancellation of a preliminary event at the 2014 Borgata Winter Poker Open, has been sentenced to five years in prison under the terms of a plea deal reached with US authorities. Lusardi’s actions at the Borgata in New Jersey in January of 2014 led to his arrest soon after, but that case was rolled into a larger action and investigation against Lusardi involving the manufacturer and sale of counterfeit DVDs that authorities had been building against the Fayetteville, NC man since 2012. The chip-counterfeiting case against Lusardi involved its own set of alleged crimes, but those charges were dropped in favor of pursuing the DVD-pirating case, since a dual prosecution on the Borgata matter may not have resulted in any additional penalties. Lusardi ended up pleading guilty on two counts in connection with the counterfeit-DVD case, charges of copyright infringement and trafficking in counterfeit labels. The USAO for the Eastern District of North Carolina issued a brief press release following Lusardi’s sentencing last week before US District Judge James C. Fox. The presser was interesting because no mention was made of the Borgata chip-counterfeiting affair, which included the sad comedy of Lusardi attempting to flush hundreds more counterfeit chips down the toilet in his room at a neighboring Atlantic City casino, thereby clogging the pipes, causing a flood, and increasing the speed at which his scheme unraveled. The actual sentencing was pushed back several times as prosecutors and defense counsel appeared to spar over the presentencing report, which court records show was amended on at least two separate occasions. 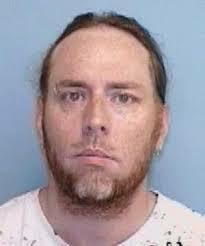 WILMINGTON – United States Attorney Thomas G. Walker announced that in federal court on March 30, 2015, Senior United States District Judge James C. Fox sentenced CHRISTIAN PATRICK LUSARDI, 43, of Fayetteville, North Carolina, to 60 months in prison and 3 years of supervised release for Copyright Infringement and Trafficking in Counterfeit Labels. LUSARDI was ordered to pay $1,137,864.01 restitution. LUSARDI previously pled guilty to these charges on September 2, 2014. Investigation revealed that several boxes of counterfeit DVDs mailed from China were intercepted by the National Intellectual Property Rights Coordination Center and Customs and Border Protection (CBP). The boxes of counterfeit DVDs were controlled delivered to the identified address. Shortly after the controlled delivery was complete, agents made contact with LUSARDI which resulted in the subsequent search of LUSARDI’s residence. The search resulted in the discovery of over 35,500 counterfeit DVDs. Investigation revealed that between June 2010 and July 2012, LUSARDI was in the business of receiving, manufacturing, and selling counterfeit DVDs in both the United States and Canada. It was determined that LUSARDI received over $1.3 million in his PayPal account during this time period. The investigation of this case was conducted by the Department of Homeland Security and the United States Postal Inspection Service. The prosecution of the case was handled by Assistant United States Attorney Susan B. Menzer. The ongoing investigation into Lusardi’s illicit DVD-making activities previously resulted in a raid on his Fayetteville home in 2012, the contents of which included a large number of items used in the underground manufacturing enterprise. Authorities seized computers and printers, a DVD-burning tower, over 35,000 bootleg DVDs, such package-sealing items as a shrink-wrap machine and heat gun, and even a handgun. It is possible that Lusardi hit upon the counterfeit-chip scheme based upon his erstwhile success with the pirated DVDs, which he also sold at local flea markets in the area. Anecdotal evidence posted on bulletin boards indicated that he may have purchased casino chip blanks and fake chip-denomination labels from Asian black-market wholesalers as well. A large number of Lusardi’s personal assets are subject to forfeiture as part of a $1.1 million restitution order that’s part of the plea deal. Lusardi also faces three years of supervised release following the completion of his 60-month sentence. Lusardi will serve his sentence at the federal correctional institute at Butner, North Carolina.